There will never be a charge to use this web site. However, if you would like to help support the costs, click the "Donate" button below. Donations can be made by PayPal, or with a regular credit card. Thank you! Since 2009 - 148,200 Site Visits - GO '61 LINKS! Photos from the LHS Dinner at Olive Garden are posted below. Scroll down to see the identities of our surprise guests! The May 2 Monthly Dinner will be at Applebees at 40th and Old Cheney. Future 2019 dinner locations will be posted soon. We hope to see you at a dinner this year! Ron E. Bauers died peacefully March 6, 2019, with his family by his side. He had been ill for several years but never complained as his disease progressed. He was 76. Click here for his "In Memory" page. 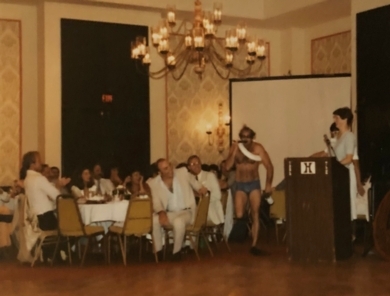 Below is a slide show showing Ron with many classmates over the years. He was kind to all and always full of fun. He will be greatly missed. All classmates are invited to gather next Wednesday, March 13, 6-8 pm, at Mulligans (same date and time as the Guy's Dinner) to honor and remember Ron. His final wishes were to have no funeral, but "go to a bar, have a drink and remember good times." So let's celebrate Ron's life doing just that. Drinks and food on your own. We hope to see you Wednesday! Mulligan's is at 56th and Old Cheney, behind the Racquet Club at the west end of the strip mall containing Four Star Drug & Capital Patio & Flame Shop. Classmates are invited to send any additional photos they want to share. Ron dripping wet in his swim suit, goggles and snorkle delivering the hermetically sealed mayo jar with funny awards inside. Sad news was received today that James D. Curtin died Monday, March 4, 2019, in Spring Hill, Florida. Jim's brother-in-law is our classmate, David Wicken. Our condolences go to David and his family. More details to be posted as they are available. Click here for James' "In Memory" page. With sadness we report that our classmate, RoJean L. Fritz Landenberger, died February 28, 2019. Click here for her "In Memory" page. Click here for her obit and funeral arrangements. Our sincere condolences go to RoJean's sons and their families. Click here for old LJS photo files of Lincoln Municipal Pool. The "Muny" pool clubhouse is in the same location, but now adjoins a parking lot for the new "Telegraph District" of shops, homes, restaurants under contruction west of Antelope Creek along 22nd Street. For a great article about the new coffee shop at LHS, click here. Remember those tests we took at LHS in 1960 for Project Talent? Click here for a Washington Post article with some surprising outcomes about dementia. Many of you reconnected to the study sponsors at our 50th reunion, and also may have received a follow-up questionnaire. If you haven't returned it, they still want your opinions. Contact Project Talent for details. 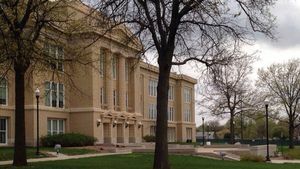 Also on the "News and Concerns" page is updated information from Ron Bauers. 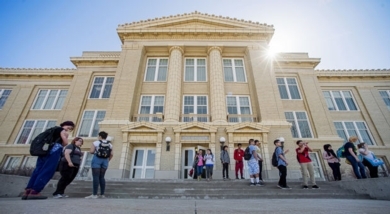 Lincoln High's many and varied programs are showcased in a recent article in the Washington Post. Again, the Links shine as one of 20 national Gold Star Schools of Opportunity. Click Here. Click here for 1/22/18 LJS article. Click here for School of Opportunity website. Proud to be a LINK! Extra copies of the "Lincoln High School Class of 1961, Class Reunion Roster of Classmates" (20 pgs) are available for $5.00. It brings all classmate contact information up-to-date, as much as possible. Click on "Contact Us" to request a copy from Cathy Stump Rauch. Here's a sample of the fun in the hospitality room. • 121 Classmates & Guests attended our reunion at the Embassy Suites. Click here for final "Attendees" list. • THANK YOU donors! Click here for list that is still being updated. • Upload your reunion photos in Photo Gallery or send them to Donna Filbert Ewoldt. Contact Cathy Stump Rauch for a copy of the "55th Reunion Roster of Classmates"
Please Join Us - Always Room for More! Always first Thursday at 5 pm, except July 12. Due to larger groups, higher gratuities are sometimes requested. Guys Dinner 2nd Wed., odd numbered months, 6 pm, Mulligan's in January. Girls Dinner, 3rd Thurs. of every month, 5:30 pm, Valentino's, 35 & Holdrege. Please notify Shiela Alemzadeh to let her know you are coming! 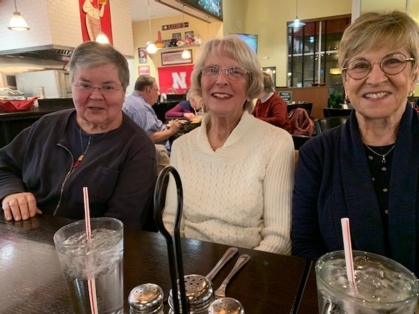 See photos of all LHS Gatherings in "Photo Gallery" (left tab), under "Classmate Gatherings"
Earl and Leslie True attended our dinner after a trip to Nebraska to visit friends, family and the Sandhills Cranes! Viewing was difficult due to flood conditions. 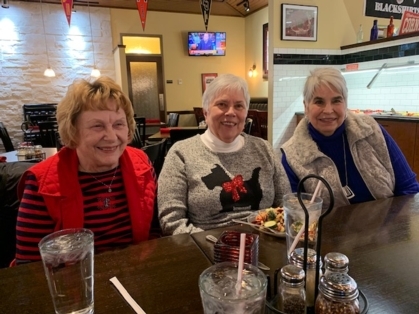 January 17, 2019 Girls Dinner at Valentino's, 33rd and Holdrege. Cold and ice can't keep the ladies away! Join us next time. Thanks Dave Drevo for always supplying the photos of the guys, including yourself! Click Here or on the Photo Gallery Tab for more "Classmate Gatherings". 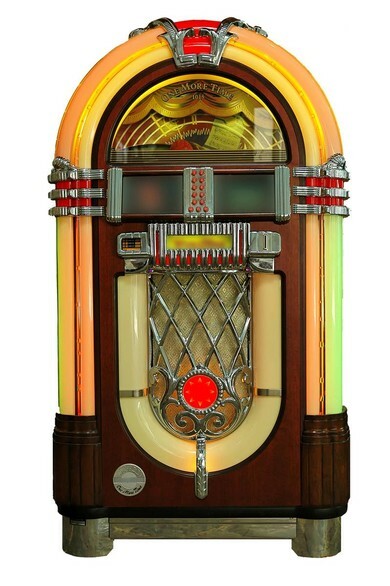 Click Here for Jukebox Music of the 50's! Click on sites below for links to other class web sites or contact info. We'd be happy to add other schools. Just send us the information. LHS Class of 1957 - Larry Klein, site admin. LHS Class of 1959 - Henry Schuman, site admin. LNE Class of 1959 - Vern Good, site admin. LNE Class of 1961 - Evan Haydon, site admin. In my life, I've loved them all. Thanks to Betty Hunt Foster for sending this song. Our mascot, the LINKS, exemplifies perfectly the idea of connection, reliance and trust. As time passes, these connections are strengthened by recalling memories, conversations, creating new website messages and in sharing photos. In life and death, we honor our classmates. The “In Memory” section is dedicated to our deceased classmates. Here, we celebrate and pay tribute to their lives. Your input is appreciated. Please click on “Contact Us” to reach Cathy Stump Rauch or Donna Filbert Ewoldt. Thank you for sharing your personal stories about our deceased classmates on our IN MEMORY page. Your comments brighten the memories of those who have gone before us and help us to better connect with each other. We will always remember these special friends.